– You are away from New Zealand working for the New Zealand Government. 2Previous two income years refers to the two years prior to the tax year that the PIR is being applied to. (For example, use your income for the 2017 and 2018 tax years to work out your 2019 PIR.). 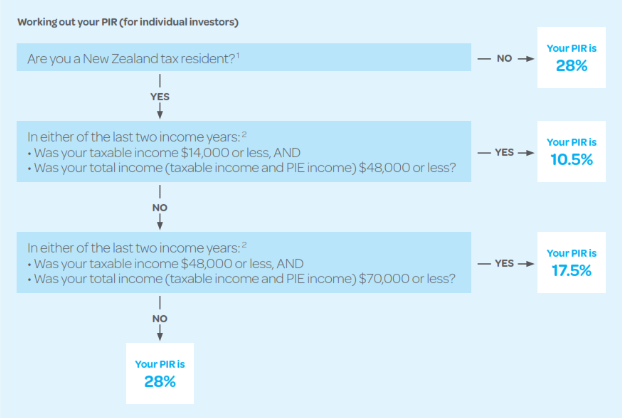 Your attributed PIE income or attributed PIE loss for an income year is the amount of income or loss attributed to you by PIEs in that income year, which will be recorded in the tax certificates issued to you at the end of the income year by each PIE you invest in.